Click on this link for recent interview. MILLENNIALS…. Soemtimes I feel like that word that is thrown around all the time is a myth or belongs in a category of something that cannot quite be described or explained like the Loch Ness monster. A recent study had some great information shedding a little light on millennials and their financial habits that I found helpful in understanding this generation. This, combined with a recent report by CNN about how Millennials will never be able to retire led me to look into the topic a little more and the findings are astonishing. Can Millennials Be One Category? One study I saw by Chadwick Martin Bailey showed a very interesting finding. It revealed that Millennials may be better understood in segments and not as a whole. They categorized the generation into 5 groups and show their money habits and thoughts in the infographic below. As you can see, there are major differences among the segments. While success-driven savers may always stick to their financial plan, the precarious passives are indifferent to their finances. These views on various financial topics are wide ranging among the segments of the population. The previous chart may seeem like a bit of a stretch to many of us who have pegged the Millennials in one neat box of precarious passices. Well, the study also showed what percentage are represented by each of their categories. The information was interesting to me because it was a fairly even break down. 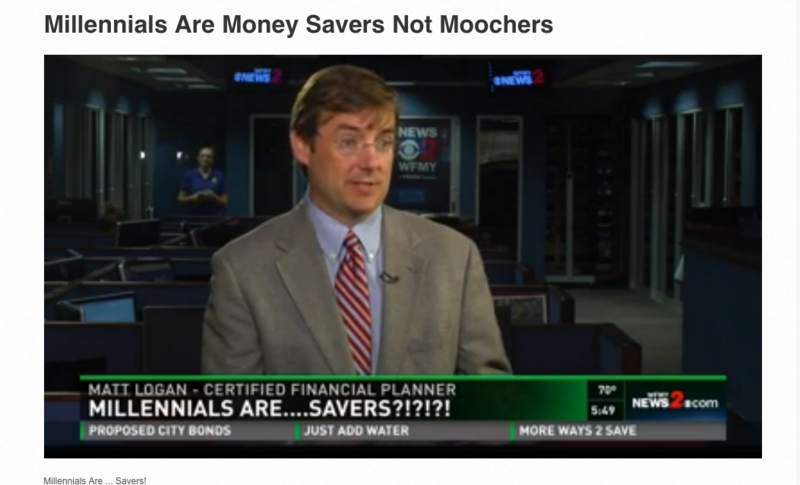 The suprising thing to me was to see that 32% of Millennials were categorized as driven savers. This is great news for financial responsibility in our country! So How Are Millennials When It Comes To Financial Planning? If we focus on the average stereortype that all Millennials are idealistic Hipsters who live with their parents and are too lazy to work, we are in big trouble, right? Well, the study showed that many more Millennials may have a financial plan and stick to it than we thought. Look at the chart below. Are Millennials In Big Trouble Financially? A recent CNN piece reported that most Millennials will never be able to retire. That is contradictory to some of the other studies that have come out. As you can see below, one study shows that generation Y or the Millennials are 32% more ambitious than Baby Boomers. That number surprised me. So next time when you think that the Millennial generation may not ever amount to anything, take a step back and put it into context. As you can see, Woodstock turned out OK, so maybe these entitled Millennials will be just fine too? Only time will tell.